First, I’m going to backtrack a bit. 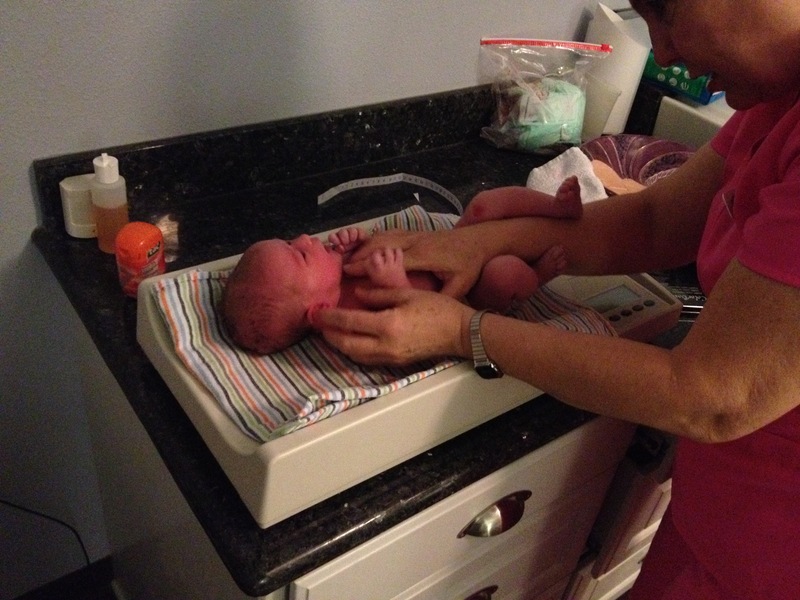 On Wednesday the 8th, I went for a biophysical profile ultrasound and had a follow up visit with the midwife. Everything looked great, but we found out that if I didn’t have the baby by the following Tuesday, we’d have to get transferred over to OB care which we REALLY didn’t want. We weren’t planning on having my membranes stripped, but since we were in a time crunch we went ahead and had that done at my appointment. It gave me some contractions here and there and eventually they settled into a regular pattern and I was up part of the night that night timing them, but they eventually tapered off. The same thing happened the following night, but again, they tapered off. Then on Friday morning, my water broke! That was a new experience, didn’t happen with either of the other kiddos. This started a second clock, because they really don’t like you to go more than 48 hours without delivering once your water has broken. Josh came home early that day and we spent the day trying to encourage things to move along with walking and clary sage oil, but Friday was a pretty calm day. 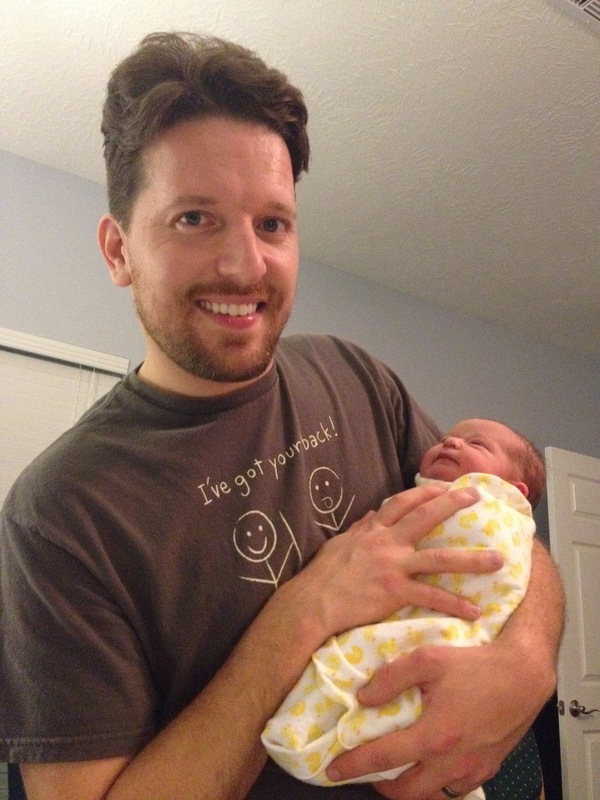 The midwife came and checked on me and Little Duck that evening and we were both doing great! 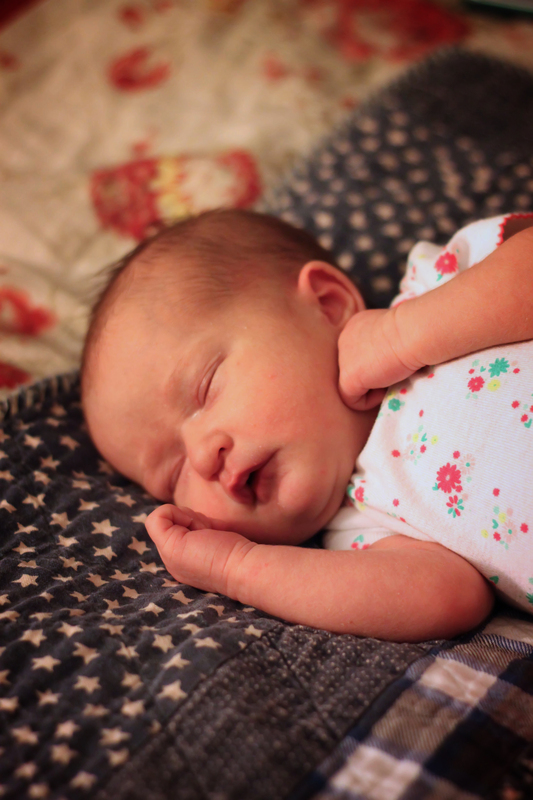 Once night hit, I started having some regular contractions and we were up all night timing them, but again, they tapered off around 4am and we slept for a couple of hours. The midwife gave us the morning to try to get things moving along again, but it just wasn’t quite happening so we went in to have a Cook catheter placed to help me efface and dilate. Josh got to be the assistant and fill the balloons. He was a good nurse. Basically, the catheter puts pressure on both sides of the cervix and irritates the uterus into contracting and comes out once you hit 6cm. It didn’t take too long for contractions to pick up and by 4pm we were timing them again. We went back to the birth center at 8:30 to have the catheter checked, but it was still snugly in there so they advised us to go walking when we got back home. I was having some pretty strong contractions, so we only made it a few houses down the block (with lots of stopping to wait out contractions) before we headed back home. It seemed like a bad idea to be loitering in front of people’s houses in the dark and I couldn’t make it more than a few steps before I had to stop again. I went to the bathroom when we got back and BOOM! the catheter was out. We let the midwife know and she said we were fine to keep laboring at home until we felt like things were getting close to delivery. So, that’s what we did! We were both pretty tired from the lack of sleep the previous nights and I was unable to lay down at all that day because the contractions were extremely painful if I did, so I mostly hung out on the birth ball which was the most comfortable place to be…but we noticed things would slow down a little if I sat too long, so Josh would watch the clock and remind me to stand and walk every 4-5 minutes if a contraction hadn’t started up. Around 10 or 10:30, I went ahead and took a shower to be ready for when we went in and pretty soon after, I started feeling a little queasy with some of the contractions so we texted the midwife and decided to go in around 11:30 or so. When we got to the birth center, everything was all calm and ready for us and we basically just continued to labor independently (on the birth ball at first and then in the tub) with our midwife quietly supervising until I hit transition and then both midwives came to help. This labor was definitely the easiest/most pleasant out of the three, even though I had pain medication with the other two and none this time around. The contractions were definitely strong, but I never felt like they were out of control or unbearable…intense, yes! But being free to move through them in a way that relieved a bit of that rather than being stuck in a bed made a huge difference and Josh was great at reminding me to relax and breathe through the rough ones towards the end. Being able to stay at home so long and do what we wanted (which was mainly watch The Office) was wonderful, too. Then there was transition, which is always so much “fun”, and I was extremely nauseated and started throwing up. 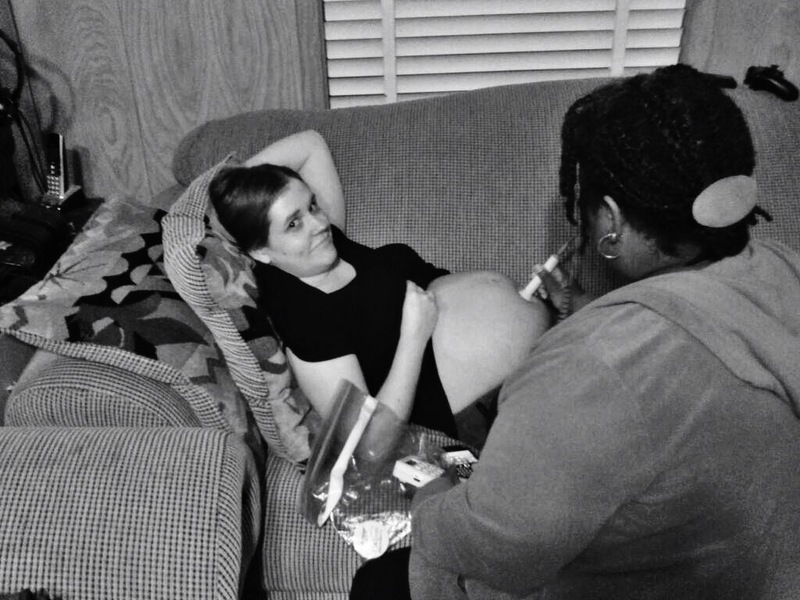 It was a glamorous time…contractions, vomiting…so many wonderful things happening at once! However, the nausea subsided once I started pushing. Usually pushing is a super quick process for me…a few pushes and we’re done! But this time, it didn’t happen like that. I thought it might be because I was in the water, so we moved to the bed in a kneeling position, but things still didn’t move forward as quickly as I wanted and MAN, was I exhausted and therefore fighting with a little case of the “I can’t.”s, so I asked to lay down and after some more pushing in a side-lying position…she was here! Josh said I probably pushed for 45 minutes, but it felt longer than that in the moment. She was born with her right hand out first ahead of her head and that is what made things more challenging in that stage. She also had the cord wrapped around her neck twice, but they were so great at pacing me through the pushing once she was emerging and just quickly and easily unwound it. They said it was probably a good thing since my water had broken, it kept it from prolapsing (coming out before her) and causing more problems. The pacing also helped her get her without causing any tearing or that sort of thing. Yay! Once she her hand, head, and shoulders were out, I was able reach down and grab her and pull her up to my chest and it was a perfect moment. They had Josh look to see gender and SURPRISE! She was a girl. I said, “Katie was RIGHT! !” And that is how we met our Josephine. She was so quiet and alert and definitely interested in nursing, and we just relaxed together while she stayed connected to the placenta for a good hour or so…such a sweet time! I wish the other kids’ births had been as calm and gentle as Josie’s was, we didn’t get to enjoy such moments at the hospital! Josh cut the cord, after sufficient time had passed and it was done pulsing. The midwife brought me a snack (it was the best orange I’ve ever eaten, LOL!) and some water somewhere in there, too. After a while, they weighed and measured her (7 pounds 1 ounce, 20 inches) and cleaned her up a little and Josh got to hold and rock her a bit. She was born at 2:45am and they let us go home around 6am. It was wonderful! The whole experience was perfect and if we ever have another baby, we will DEFINITELY go this route again. 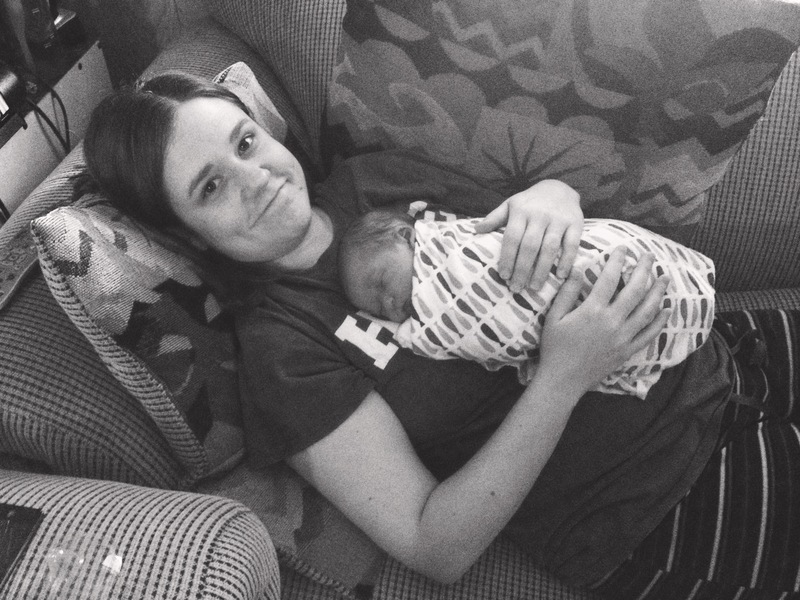 It was so different than an OB managed pregnancy/birth…so calm and laid back and NORMAL. Even surprising things, like my water breaking and the delay before labor started and her hand and the cord, were handled so calmly and efficiently. I feel like medically-managed pregnancies and deliveries are treated like crises until proven otherwise, and this was the opposite of that. It was obviously hard work, labor/birth always is no matter how you do it, but it was a fantastic experience and I would not change any of it! We are so thankful for all the midwives at Bay Area Birth Center for taking care of us throughout the pregnancy, and especially appreciative of Stephanie and Jackie who helped us bring our precious girl into the world! We will always remember it fondly. Beautiful story from a beautiful mama and family. Thank you for sharing. She’s beautiful! 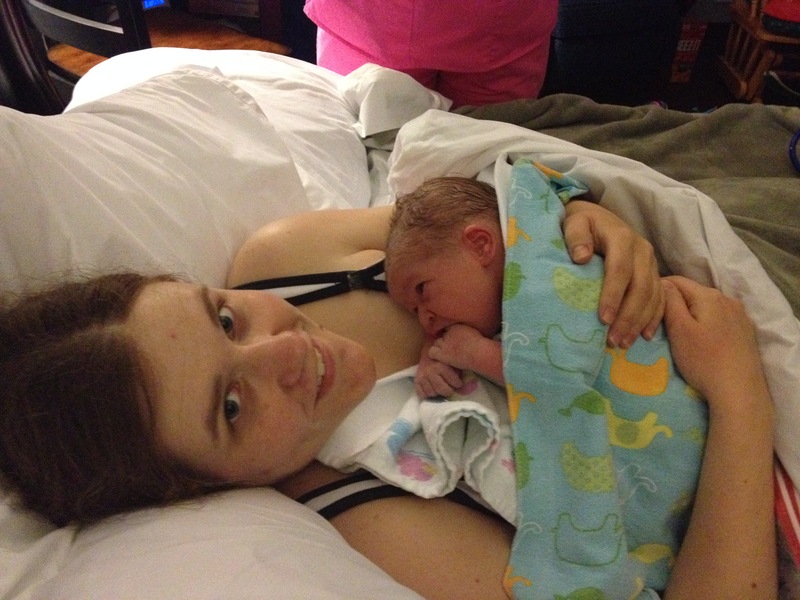 Thanks for sharing her birth story and the pictures. Congratulations! I used to read frequently over at the BlogSpot site, and then every now and then would stop in here to see how you all were doing, and I guess it’s been a while! She’s absolutely gorgeous! Congratulations to all of you! SO MUCH HAS HAPPENED!!!! CONGRATULATIONS! Josephine is beautiful!!! !